Summer is already off to the races so it’s high time for the Bedside Table Books annual (except when it’s not!) Summer Reads list. For those new to the scene, the list is a collection of books that have caught my attention in recent times and seem suited to savouring over the slower pace of the Summer. I try to keep a variety of themes and genres in mind but in the end, they are just titles I can’t wait to read along with you! Travels Through the French Riviera: An Artist’s Guide to the Storied Coastline from Menton to Saint-Tropez by Virginia Johnson – Long time readers will know I swoon over a book beautifully illustrated with watercolours. This is capital G, gorgeous. Virginia is a Canadian treasure and you’ve met her here before when she illustrated for Kate Spade and Deborah Needleman. Now you can vicariously join her on her colourful (and detailed) travels along the Riviera and do it from your matching beach towel no less. The Bay presently carries Virginia’s art on a fluffy towel you may need to justify purchasing as a required Summer Reading accessory. Full Disclosure by Beverley McLachlin – Another one written by an extraordinary over-achiever … The Right Honourable former Chief Justice of the Supreme Court of Canada has written a very well reviewed courtroom thriller. Methinks she knows of what she writes! Ms. McLachlin was a mere appointee to the BC Court of Appeal when she was invited to address my high school graduating class; she was inspiring then and look at all she’s been up to since! Like all the good ones, she’s a big reader and shares her literary journey in this Globe and Mail article. Suspense in the summer is a good match. Dear Mrs Bird by AJ Pearce – The Guardian calls this a “Winning Wartime Romp” and refers to the heroine as “plucky” and “charming”. The reviewer also bandies about descriptives like “hilarious”, “poignant”, and that it has a “madly winning spirit”. The Irish Times calls her the “Bridget Jones of the Blitz”. ‘Nuff said. Sold! Set in the era of WW II London, it follows the antics of a twenty-something War-correspondent-wannabe who ends up instead typing the Problem Pages letters. She finds herself drawn in to the personal stories and becomes secretly a little more deeply involved than she should. An American Marriage by Tayari Jones – “This is complicated emotional territory navigated with succinctness and precision …” according to the NY Times reviewer. A “wise and compassionate” story of a young newlywed couple who find themselves managing a wrongful conviction and its devastating impact on their relationship and family. Certainly more emotionally demanding than other titles on this list but I’ve heard this one’s an important read and highly engaging. The Great Alone by Kristin Hannah – The BBCE (Best Book Club Ever) has selected this as our one assigned Summer choice. I’ve yet to meet a reader who has not been deeply moved by Kristin Hannah’s The Nightingale story and this one seems set to prompt as many positive experiences. The Great Alone is set in a post Vietnam era when a family affected by the War seeks a new life, off the grid, in the Alaskan wilderness. According to the author’s website, “The Great Alone is a daring, beautiful, stay-up-all-night story about love and loss, the fight for survival, and the wildness that lives in both man and nature.” Chills for you when it gets hot out! The Garden of Small Beginnings by Abbi Waxman – I’ve had this one on my YTR (Yet To Read) shelf for some time now. What better time to embrace a novel featuring a Gardening class than in the height of a flower flourishing summer! While the initial premise sounds dark (young family loses father in a tragedy) its reviewers promise it’s laden with optimism and good humour as the little family finds its footing. Mom is an illustrator who is sent to a Gardening Class to learn the intricacies of the plants and finds a new and loving community of support. Dare I say, romance blooms? Summer Hours at the Robbers Library by Sue Halpern – The title alone put this one in the running of course. Everything I’ve read about its storyline brings to mind The Breakfast Club movie but this cast of misfits finds themselves in a small town library rather than on Saturday detention. Some of the characters are there to find solace in the ever-comforting realm of books, another to do community service for the crime of Dictionary theft of all things, and others circulate through as “offbeat” library regulars do. Together they are healing from past difficulties and are finding new ways forward. Sunny is a young girl who befriends the librarian with the mysterious past and seems to bring the light to the group. Let us know how many you get through or if you have some of your own recommendations to share. 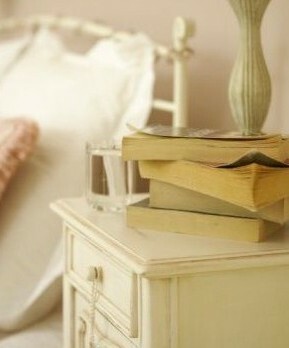 What’s on your bedside table? Happy reading!